A home away from home experience, enriched by the finest sunset on the island! 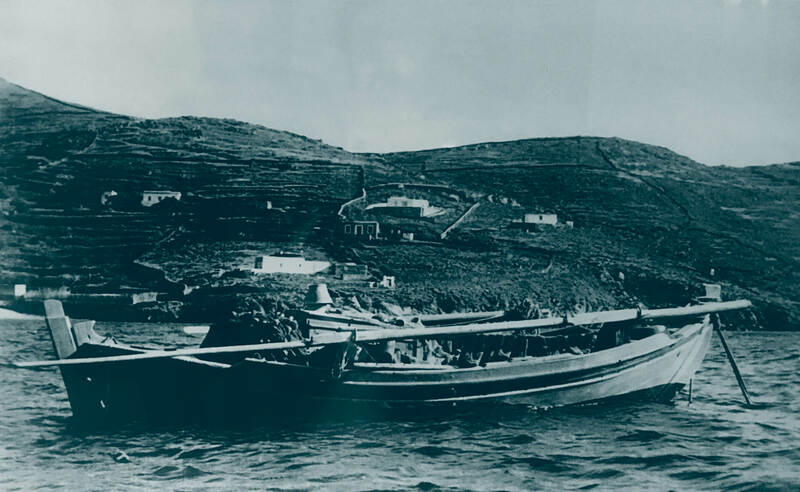 Everything started around 150 years ago when the Pine Tree was born in the small hill of Lotos, at Kini village in Syros. Our great Grandfather Marin Rigouzzo, French consul of France and Belgium at the time, bought this land years ago, in order to give life to his own “shelter”. In the middle of this small terrain, there was, already proudly standing, our guardian… the Pine Tree. He spent endless hours, next to his small cellar, for his favorite ritual: to enjoy a glass (or two) of wine under the Pine’s shadow. Later in the years our home was built around the cellar and then we decide to create some… magic! The tree shadow was extended and Pino di Loto was born in 2007. Pino di Loto is an expression of our values! We are happy to serve you with our biggest smile and try to transform your staying into an experience to remember.